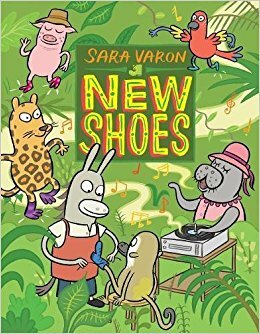 There is something essentially, sweetly human about the characters in all of Sara Varon's books, even though these characters are often animals and occasionally vegetables and baked goods. 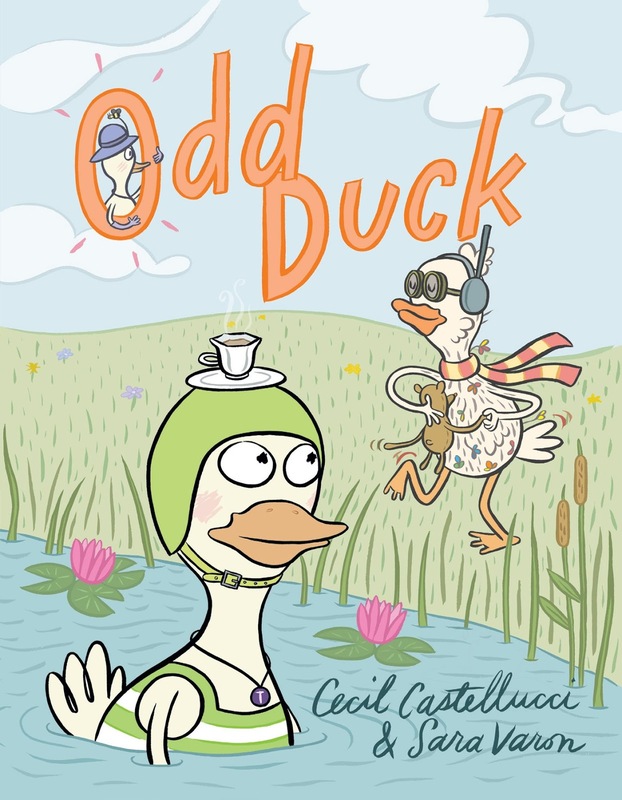 And, while her books are never didactic or message-y, I always come away from them thinking that these are the kind of characters I want my students to learn from. Varon's books let readers see what they should be. And they are always gently hilarious with characters bursting with creativity, curiosity and kindness. New Shoes is no different. 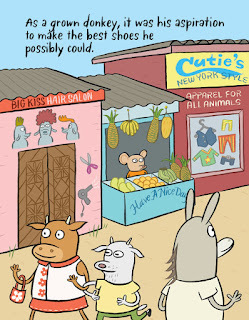 Frances is a donkey who has wanted to be a shoemaker, "since he was a young foal." 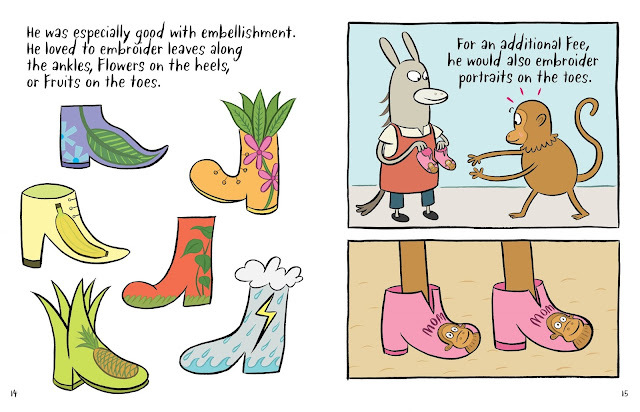 And, as a, "grow donkey, it was his aspiration to make the best shoes he possibly could." To do this, Frances uses the finest materials, including a special grass that his friend Nigel, a spider monkey, gathers deep in the jungle. Frances's shoes are famous, with animals coming from far and wide to purchase them and his shop is always bustling and filled with music and friends. 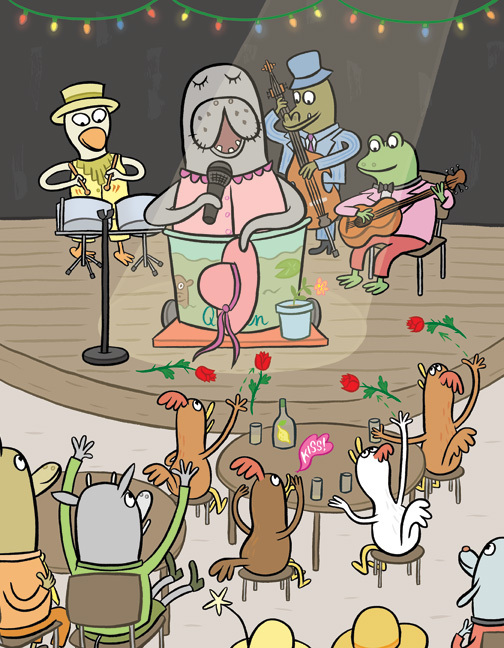 One day, Frances is asked to make a special pair of shoes for his favorite singer, Miss Manatee, who will be performing in his village soon. Frances is over the moon. And is is also out of the special tiger grass he needs. Finding his friend Nigel has yet to return from doing business in the jungle, Frances decides to do something he has never done. 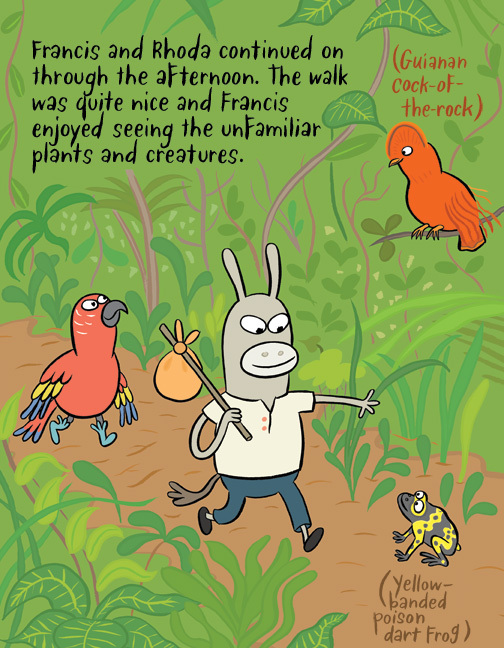 He leaves his village and heads into the jungle to find his friend, taking Rhoda, a parrot, and guide books about animals because, "he didn't want to seem provincial if he ran into animals he'd not see before." 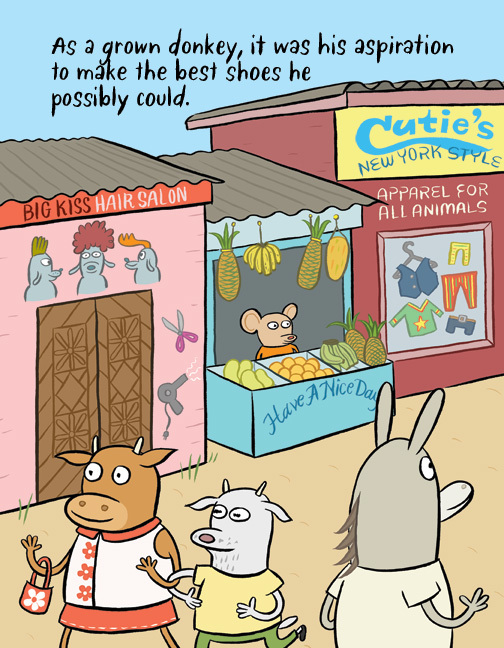 He also brings some extra shoes, just in case. 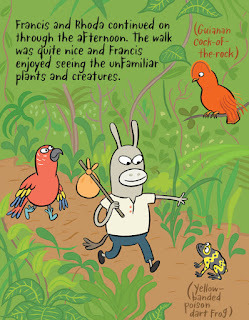 Frances meets new animals and discovers new fruits and other delights in the jungle. But, he also makes an upsetting discovery. 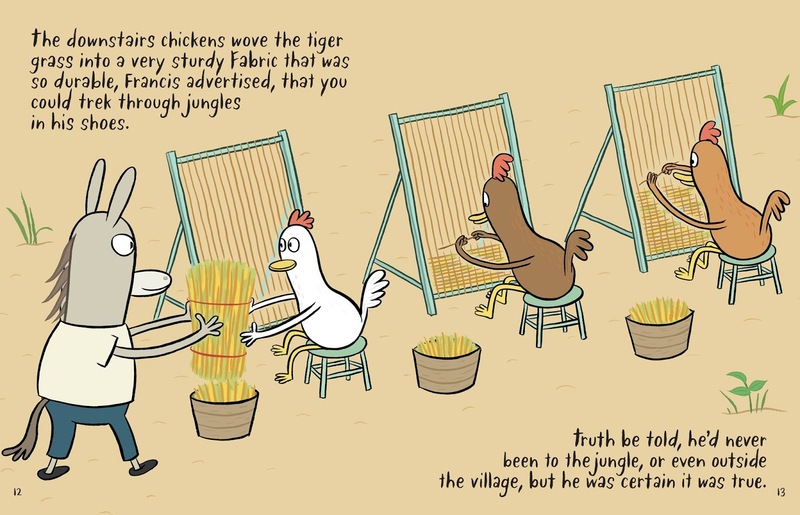 The tiger grass that is so essential to his shoes has been specially cultivated by a jaguar named Harriet and, while Nigel once made a fair trade for the grass he brought back to Frances, he has started stealing it. 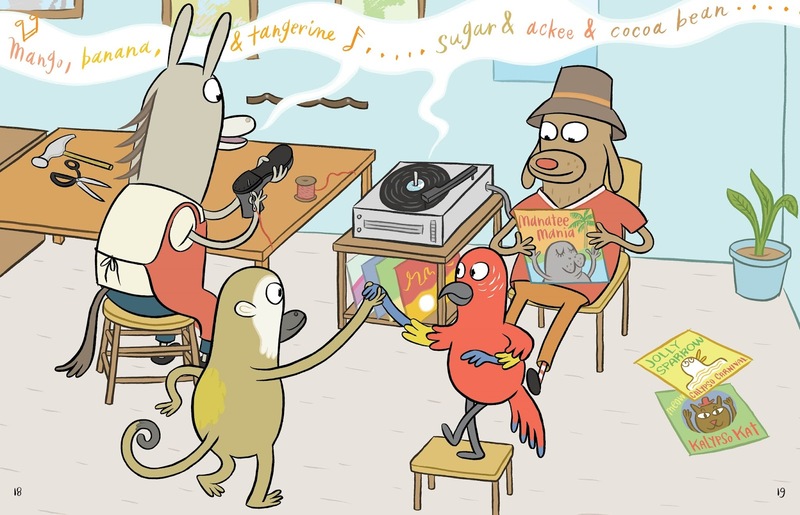 Frances makes some important decisions and reparations and he and Nigel return to their village where shoes for Miss Manatee need to be made. This proves yet another challenge when Frances consults one of his guide books and learns that manatees don't have feet! 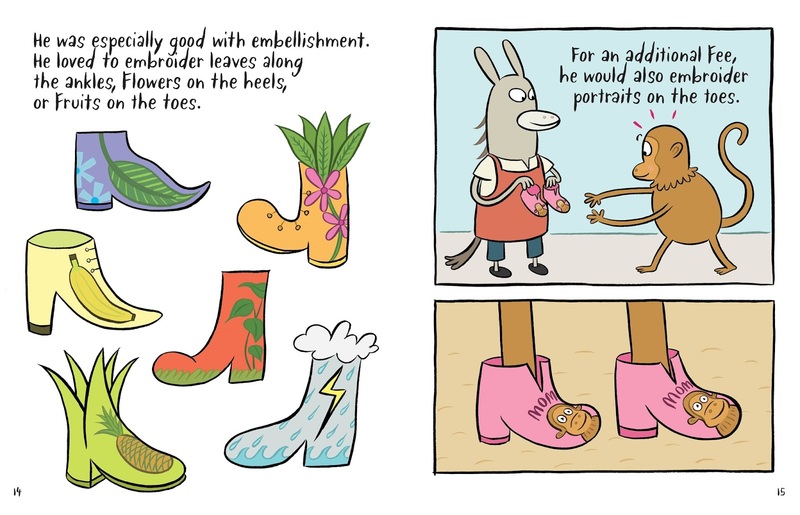 He puts his brain to work and calls on Harriet for help, and together they create the perfect pair of "new shoes" for Miss Manatee. 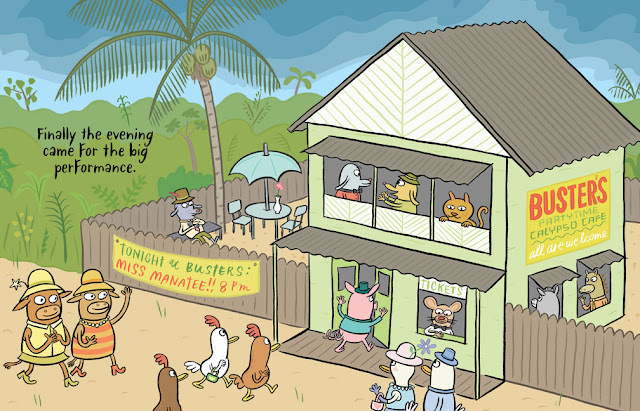 Once again, kindness, creativity, compassion and curiosity are at the heart of Varon's book, which ends with back matter that includes photographs Varon took during her many visits to Guyana, specifically the town of Linden, all of which are the inspiration for this tropical setting.